Nau mai, haere mai, ki te Hōtēra ō Ūpokokirikiri. Welcome to the hotel. And a place with kai moana (translation: seafood) that will knock your socks off (translation: make you very happy). Here's a small laid-back beach settlement, with a sense of being away from it all, and famous sunsets. It's also an area rich in Māori and pre-European history. There has been a settlement of people here as early as the 1300s... for New Zealand history, that's a long time. And finally, but also importantly, here you'll find perhaps some of the best fish and chips around. In this part of the country, there is an awful lot of nature around, and it's lighter on the people count. That is precisely its charm. But if you want to find yourself in a historic hotel with some dramatic views out to the coast toward the South Island, or westerly toward the Rimutaka ranges, then this is the place for you. 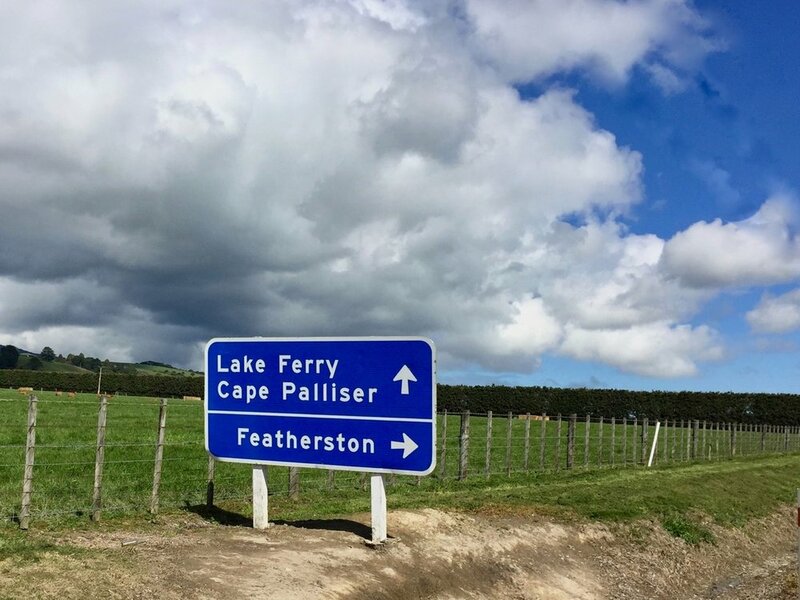 The Lake Ferry Hotel is our North Island's southern-most hotel, sitting on the shores of Lake Onoke, which spills over into rugged Palliser Bay... all of which is right in front of your eyes. The Onoke spit is there too - home to a rare coastal dune and beach system, a breeding spot for a number of New Zealand's protected bird species. The Europeans arrived with their sheep and cattle to the area long after Māori, in the mid 1800s. A ferry service across Lake Onoke gave rise to this place's European name. And the original hotel was built to give the ferryman another role as publican - a portfolio career path, if you will. It was a condition of the publican's licence that the owner provide a ferry service across that lake... And all of that combined makes it at least one of the oldest licensed hotels in New Zealand, and certainly the oldest in the Wairarapa. As to food... the treasures we map? If you feel like some true kiwi fish and chips, or a whitebait fritter when the season's on, or any other local seafood treasures, in a wonderful old hotel, this is the spot for you. If you're more of a hunter-gatherer type, there's loads of fishing done here, surf casting off the beach. For the less intrepid, you can see them having a go while you sit and enjoy yourself from the hotel deck. Come springtime, netting whitebait is the thing to do here... or you can order a fritter from the hotel kitchen. You choose. And it's also the perfect isolated picnic spot kind of place, if you've picked up some provisions from Wairarapa townships a little further north on your way here. Our springtime visit meant there was whitebait on the menu at the hotel, in a fritter… But if you want another easy way to serve this treasure, here's our special whitebait idea. For more on what to find and enjoy on Wairarapa travels, explore food treasures on our North Island Food Travel Guide app - click here. You’ll find delightful coffee stops and eateries, artisan producers, and a whole lot more….